I love[d] RedGate’s .net Reflector and used it all the time. It made me sad to see that they decided to eliminate the free version. The price isn’t terrible at $35, but it’s enough to make me explore other options before putting in a purchase request at work. I talked to some colleagues, did some quick Google research, and was pleasantly surprised to find a wonderful substitute called ILSpy. ILSpy does exactly what .net Reflector did for me. I can explore objects, methods, and properties in assemblies, and it’ll decompile to show implementation details. 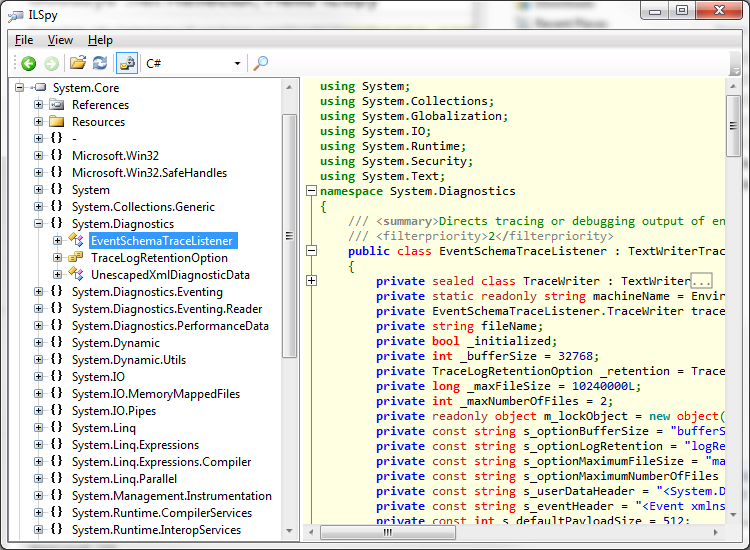 ILSpy (or something similar, like .net Reflector) is a must-have tool for debugging and troubleshooting. I definitely recommend you check it out!